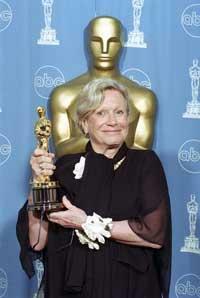 Costume designer Ann Roth shares the spotlight with her Oscar for THE ENGLISH PATIENT. Photo © AMPAS. “We have a uniform…simple, elegant, impeccable. Dress shabbily, they notice the dress. Dress impeccably, they notice the woman.”–Sigourney Weaver to Melanie Griffith in the 1988 Mike Nichols’ film, Working Girl. Weaver’s character–high-powered boss Catherine Parker–credits that spin to fashion designer Coco Chanel. But that notion could just as easily fit costume designer Ann Roth‘s body of work. Her costumes for Working Girl and more than 200 other films, Broadway and regional plays; numerous TV/cable films, operas and ballets reinforce, but never overshadow the work the characters have to do. A long overdue profile of Ann Roth will be broadcast this Sunday, November 16, during CBS News Sunday Morning‘s weekly telecast (9:00 a.m.-10:30 p.m. ET. After premiere airdate watch at http://www.cbsnews.com/sunday-morning/). I encourage you not to miss it. I first met Ann Roth 17 years ago. I was asked to profile her for a lengthy magazine piece. It may sound corny, but it’s true: she “had me at ‘Hello’.” I’ve been extraordinarily fortunate to have met, interviewed and worked with scores of incredibly talented artists, writers and filmmakers during my career as a journalist, publicist and Awards director. Especially important to me were my associations with authors Brendan Gill, Frank McCourt, Mary Higgins Clark and David McCullough; children’s book editor/publisher Margaret K. McElderry; children’s authors Joan Bauer and Susan Cooper; puppeteer Caroll (Big Bird) Spinney; illustrator Hilary (Eloise) Knight; and the incomparable Fred Rogers; actors Carroll O’Connor and Ruby Dee; musician Judy Collins and dancer Jacques d’Amboise; and film and TV producers Ken Burns, Ismail Merchant, Al Maysles, Bill Jersey, Perry Miller Adato, Bob Brown and animator John Canemaker. But crossing paths with Ann Roth for the first time, for me, was akin to being struck by a bolt of lightning. I grew up with dreams of becoming a fashion designer like Coco Chanel and admiring Oscar-winning costume designer Edith Head for her sense of style and chutzpah. I studied art, departed quickly from a post-grad stint at The Fashion Institute of Technology and happily found my proper niche in graduate film school at NYU, where I never remember hearing the words “costume designer.” The first thing I learned when I called Ann Roth to set up our first interview?… It’s best not to mention Edith Head. Roth’s career for stage and screen spans more than five decades. 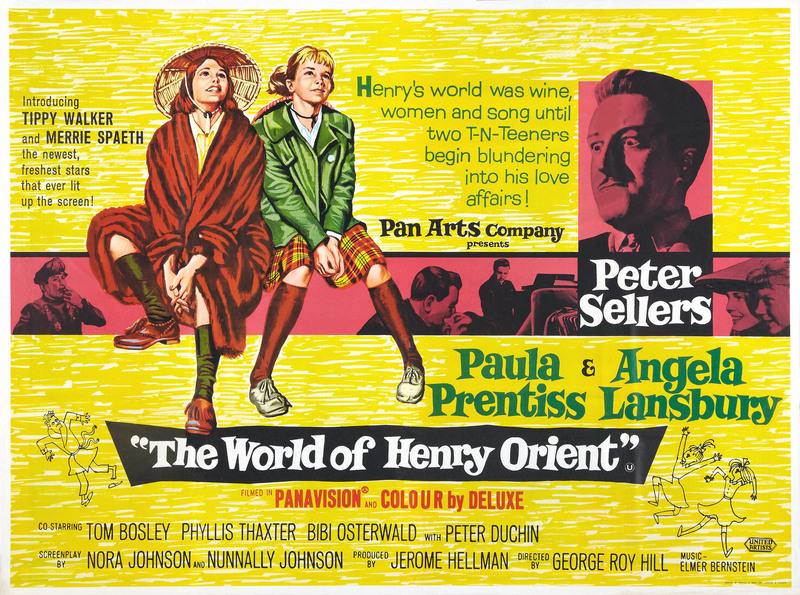 Coincidentally, her first solo film gig landed in one of the secret pleasures of my youth: The World of Henry Orient (1964). I wanted to live the lives of those girls, and I never forgot that mink coat. Roth told me she got it off the back of a truck. Since then, Ann Roth has costumed every character no matter how minor, down to their nail polish, shoelaces and noses (The Hours). Her oeuvre defies pigeonholing. There’s Miami Beach drag (The Birdcage); expansive period literary adaptations (The Day of the Locust, The Unbearable Lightness of Being, The English Patient, The Talented Mr. Ripley and Cold Mountain); social issue-driven classics (Midnight Cowboy, Klute, Silkwood and HBO’s Angels in America); aliens (Signs) and the alienated (Hair); big hair (Working Girl and Mamma Mia! 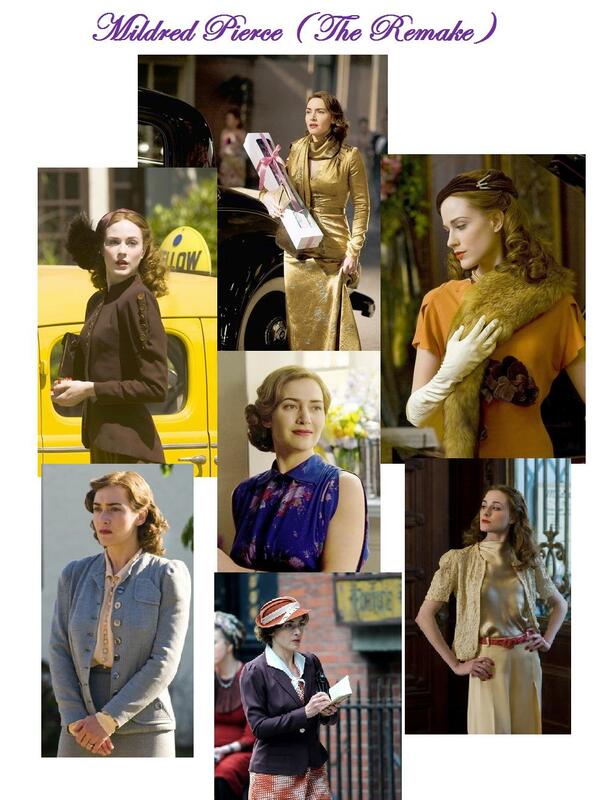 ); women in crisis (Doubt, The Reader, HBO’s Mildred Pierce and Margot at the Wedding) and burlesque (The Nance). She has received Academy Award nominations for Places in the Heart (1984), The Talented Mr. Ripley (1999), The Hours (2002) and The English Patient (1996). She won her Oscar for the latter. 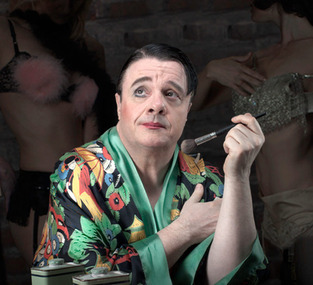 Nathan Lane in the 2013 Broadway production of THE NANCE, a Tony Award winner for costume designer Ann Roth. Roth’s TV and theatrical honors include innumerable Emmy, Drama Desk and Tony Award nominations. 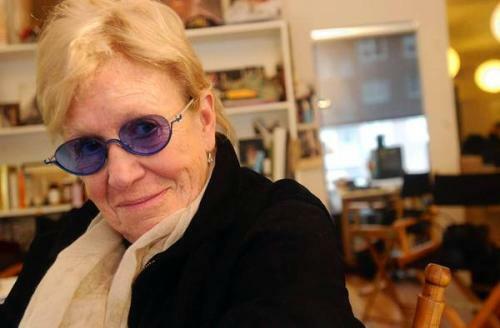 She most recently won Drama Desk and Tony nominations for her inventive, off-the-chart designs for The Book of Mormon and a Tony Award for her glorious period designs for The Nance, starring Nathan Lane, one of Roth’s close friends and, admittedly, her muse. Among her many industry lifetime achievement honors is a particular favorite, the 2000 Irene Sharaff Award for Lifetime Achievement, from the Theatre Development Fund (TDF), named for her early mentor, the renowned Hollywood and Broadway costume designer. Roth’s lifelong fascination with all things dramatic, including the lives of the directors, writers and actors she admires, continues to propel her into grueling, overlapping film and theatre assignments, most with repeat talent. To date, she has worked with her great friend, Mike Nichols, on 18 film and theatre projects. At this writing, there are three Broadway shows costumed by Roth running on Broadway–The Book of Mormon (also in various venues on the road), This Is Our Youth and A Delicate Balance–and at least one other new play and film in the wings. 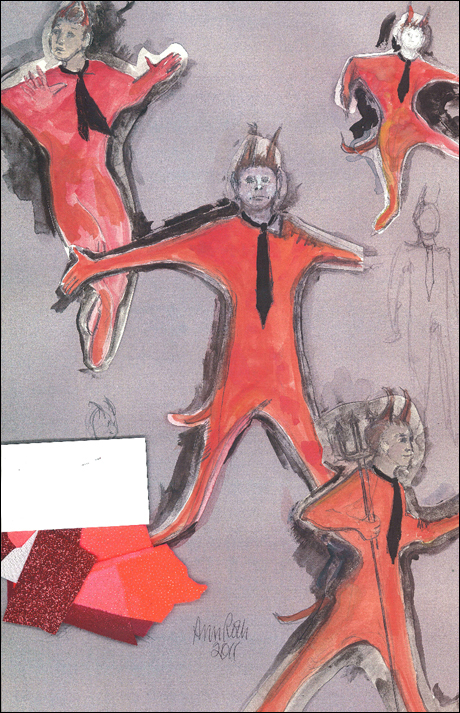 Ann Roth’s costume sketches for THE BOOK OF MORMON. She is also the subject of The Designs of Ann Roth (2014), the latest title in the USITT’s series of monographs on theatrical designers. And she just turned 83! I’ll be lucky if I can tie my shoelaces at 83. To say that I’ve been fortunate to have been able to continue my relationship with her over the years is an understatement. My time spent with Ann in her studio, the Costume Depot, in New York, and at her bucolic 18th century farm in rural PA, while preparing my original manuscript, are days I will never forget. And the moments since then when we’ve connected, are precious to me–especially her concern and comforting words when my mom passed away–and very much appreciated given her exhausting work and travel schedule. Little did I know when I received that fateful phone call from my editor 17 years ago asking me to interview a costume designer (not named Edith Head!) that a window would open for me that would not only turn my preconceived notions about costume design on their ear, but also…and more importantly…bring a feisty and captivating new friend into my life. 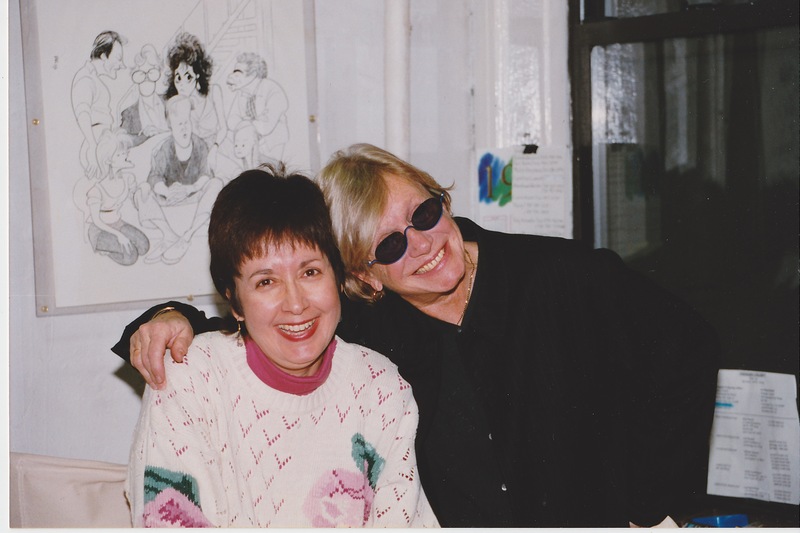 The way we were… Judith Trojan and Ann Roth, circa 1997. Photo: Paul Schneck. Extraordinary talent, creative vision and an indomitable spirit got Roth where she wanted to be. “I always wanted my life to be an adventure,” she told me. This entry was posted in Film, Theatre, TV and tagged Academy Award Winners, Ann Roth, CBS News Sunday Morning, Costume Designers, Edith Head, MIke Nichols, Nathan Lane, The Book of Mormon, The Nance, The Tony Awards, The World of Henry Orient. Bookmark the permalink.